2014 miles in 2014 - February update! As some of you will know I decided one of my challenges for this year would be to try and run 1057 miles for my running buddy Haddie in Hawaii and my second challenge was to cover 2014 miles in 2014 in any self-propelled way! 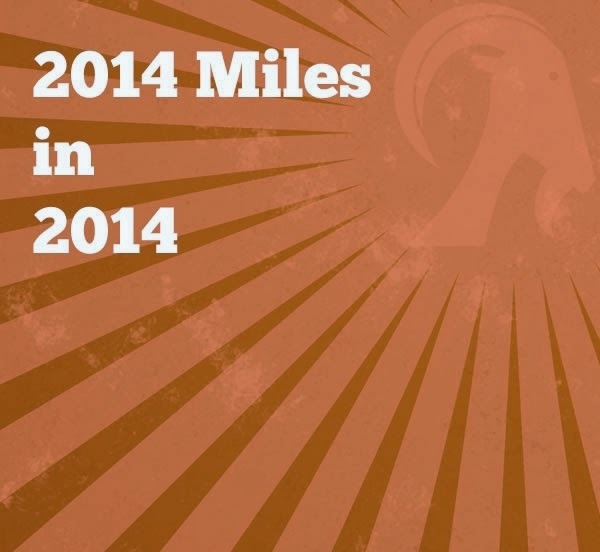 The 2014 miles in 2014 works out to be an average 168 miles a month! The Haddie Challenge works out to be an average 88 RUNNING miles a month! As its the end of the month it means it's time to tot up the total so far! Only 1714.49 miles to go! Only 797.93 miles to go! I am surprised that I have done less in February than I did in January but then again I suppose there has been 3 days less to do things in during February! Back to having 31 days in March so should see a slight increase again! I haven't done any running today as I am off to Reading with my daughter for an University open day tomorrow, which also means no running tomorrow. I will be back late tomorrow night then on Sunday I am going to relax at a Spa with 3 friends so no running then either! At least by the time I get to run on Monday I will be nicely recovered and relaxed ready to hit it hard next week! After Tuesdays diabolical and depressing effort of a run I really wasn't looking forward to going out for a run tonight! I put it off for as long as I could (the ironing even took priority - that's have desperate I was not to go!) but then I thought "Get a grip and go or you will regret it!" I made a deal with myself that I would just do a couple of slow miles and see how I felt after that! It was a lovely crisp and clear evening but very cold! However, after feeling like I was overheating on Tuesday I didn't put many layers on! Just one long sleeve top, long pants and gloves! I didn't want to know my pace or my distance so I didn't look at my Garmin at all. I just wanted to run for fun - something I have overlooked lately! Anyhow, I felt F A N T A S T I C and felt like I could run forever! No tiredness, no breathlessness, no aching legs, no sore bum cheeks - just the pure thrill of being outside doing something I loved! When I eventually forced myself to return home before my family sent out a search party I was amazed and delighted to see I had run 10.41 miles at an average 9:35 minute mile pace! Not fast but I am just pleased to have enjoyed it! I felt like I could have done the distance again! That run has taken me to the 300 mile mark for the distance I have run for my little buddy Haddie in Hawaii! On Monday afternoon I had a phone call from a newspaper wanting a telephone interview regarding my "I run 4" activities and what my motivation was, my future races etc! Haddie and I might be famous if they decide to print my interview! I will keep you informed! I have even managed to get up-to-date with my scrapbook and have finished my Barcelona Half Marathon Page! Thankfully after a good night's sleep I felt much better today after last night's failed LSR attempt! I am trying not to dwell on it too much, it's only one run after all! 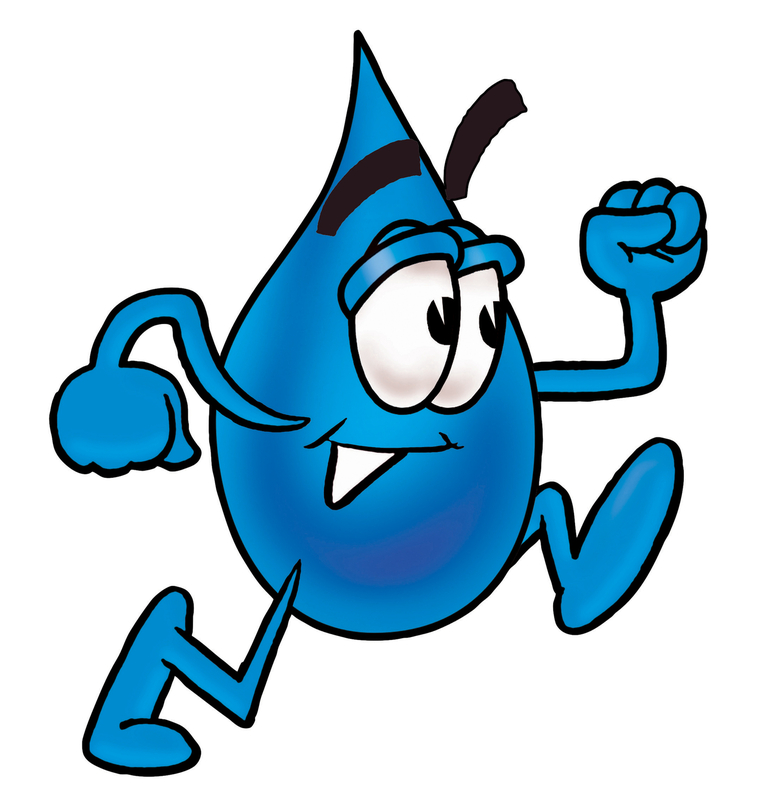 I have decided it was a case of dehydration as I have been thirsty all day today and have felt better with each bottle of water I have slurped! I must remember to keep drinking! Tonight I went straight from a meeting at work to Yoga and thoroughly enjoyed it! It felt soooo good to stretch those muscles and relax! Another run tomorrow! Here's hoping it goes well! As I was saying earlier in the week I have a very busy week ahead and decided to do my long run of 15 miles this evening. So straight after work I had a quick peanut butter sandwich, got changed into my running gear and headed out the door. It has been a bright day today but very very cold so I opted to wear several layers of clothing plus a hat and gloves! By the time I had run 2 miles I was regretting this decision as I was overcooking! However, I just unzipped, removed hat and gloves and carried on! All my energy just left my body and I was left shuffling along feeling very worried and depressed. I tried to run through it hoping it would be just a blip, took an energy gel and kept telling myself just to put one foot in front of the other! However, by mile 7 I realised there was no way I was going make it to mile 15 without walking or collapsing so I opted to head home! Once home I was disappointed to see that I had just done 9.74 miles! The mile splits confirm my "hitting the wall" theory as I ran mile 1 @ 8:55, then 9:06, 9:30, 9:36, 10:52, 10:35, 10:31, 10:53, 10:42. My average pace was 10:10 minute miles! Why the huge difference in pace after mile 4? Is this over training symptoms? I have no idea what was going on with my body but I am hoping that with a bit of rest it will be back on track! Looking forward to some stretching and relaxation at Yoga tomorrow evening! and it's going be a struggle! I have such a busy week and weekend coming up I really don't know how I am going to manage to run the 25 miles stipulated on the training plan, but I promise you I will find a way - somehow! A busy life isn't going to stop me achieving even if it means getting up at silly O'clock to run in the mornings! After all there is only 40 days separating me from a PB Marathon! I started the ball rolling tonight after work with a swift 5 miler! Monday's are usually dedicated to swimming but I have had to double-up this week, and would you believe after a beautifully sunny day the moment I stepped outside it started to rain!! A little bit of rain and a slight breeze weren't going to stop me and in the end I was chuffed with my run as I managed to keep all the mile splits under 9 minute miles. In fact I did 8:17, 824, 8:35, 8:46, 8:55 minute miles which works out an average of 8:34 minute miles. That will do me! I had a couple hours rest before going to the Tri Club Swimming Session. I wasn't sure how I would cope after already expending alot of my energy on the run! When I got there i thought it was fairly ironic after booking "The Great North Swim" that tonight's focus was on Open Water Skills! After doing a warm up set, followed by "drills" we moved onto sighting, no touch turns then the hard one ... we were swimming 2 lengths hauling ourselves out the pool from the deep end touching the wall getting back in and repeating! It made me realise I have absolutely no upper body strength and perhaps I need to start doing some press ups! I am absolutely exhausted tonight but I am not surprised after doing a 1700 metres (1.06 miles) swim plus a 5 mile fast run! Yesterday I booked an Open Water Swimming Course and I just happened to comment to the coach running the course that IF I enjoyed open water swimming I would like to do the Great North Swim in Windermere. Basically she said that it would be full by then and I was to book it NOW! So with several glasses of wine giving me the required braveness I went ahead and booked it last night! Did I book the shortest distance for my first open water swim? I went for the one mile option so that I can see whether a half Ironman (which has the same swim distance) is really a viable option! So with 16 weeks to go I best get swimming! I have 10 weeks to devote to my swimming once the Marathon is out the way! Today has been a rest day THANKFULLY as the weather has been wild, very wet and windy! I wouldn't fancy running in it to be honest! Feeling smug that I have avoided it! To ensure I tick off all my goals for 2014 I have just gone and booked an "Introduction to Open Water Swimming" course in Lake Windermere! Just thinking about this seems very daunting at the moment (especially after watching Davina!) but I am determined to experience it - even if it is just the once! So the date is set - on the 25th May 2014 I will be donning a wetsuit for the first time and taking the plunge - literally! So if I survive this experience and actually enjoy it I will be able to enter the Great North Swim (assuming places are still available by then!) in June! Today I have done a 7 mile run! When will the wind and the rain give me a break? One day when the weather settles itself I will fly after all this hard training in awful conditions! When I set off today it was dry but very windy and the wind was blowing right at me - I even considered turning around and going in the opposite direction so the wind would be behind me but decided to persevere! After about 2 miles there was a really heavy rain shower and then the sun shone briefly before there was another really heavy rain shower! Just enough to make sure I was wet through to my knickers and uncomfortable for the rest of the run! Anyhow, I kept with it and ran 7.07 miles in an average 9:09 minute mile pace! Rest Day tomorrow before another week of marathon training starts again! Deja vu! 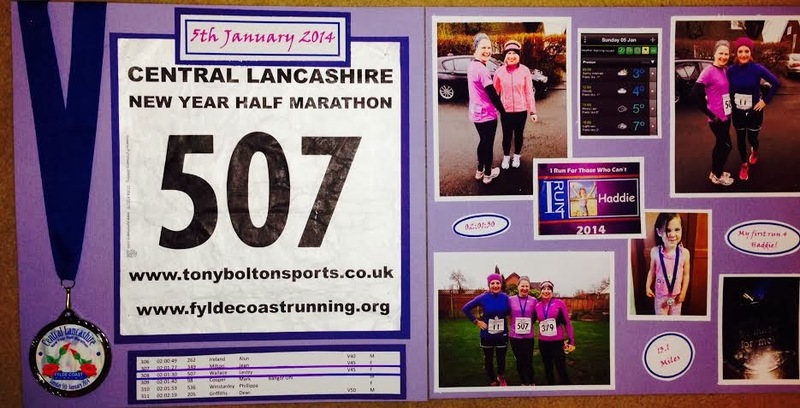 I have even managed to do another page of my scrapbook for The Mad Dog 10K! Wet and windy ... again! After studying the weather forecast (I don't know why I do as it is always wrong!) I decided that I needed to run earlier rather than later as the rain was coming in! My legs were still feeling a little tired and heavy but I had no pain so decided to follow the plan! I left the house in fine drizzle but in the most horrendous winds! I hadn't even managed the first mile of my planned 8 mile route when the drizzle changed to a heavy downpour and the wind added the extra special effect of forcing the rain into my face, making it sting! I cursed the Great British weather under my breath and started planning a shorter route with the thought that I could make up the extra distance at home on the treadmill. THEN I got a jolt of mental strength and determination! I knew if I didn't do the full distance I would regret it and be disappointed with myself! I wasn't going to let a little bit of wind and rain beat me ... I was going to succeed and run the 8 planned miles outside come hell or high water! Once I had a word with myself and I knew there was no getting out of it I seemed to feel better and my feet felt lighter! The rain obviously appreciated my determination and decided to be kind to me and at 5 miles it turned back into light drizzle! I ran 8.18 miles and I even felt like I could keep on going - amazing after the dodgy start! I was chuffed with my mile splits which were: 8:59, 8:38, 8:52, 9:09, 9:23, 9:28, 10:08, 8:48, 8:47. I was disappointed to see the 10:08 but on looking at the route this was going up a fairly steep hill so its understandable. My next goal is to consistently keep under 9 minute miles! I'm not usually one to look forward to or appreciate a day of rest but after yesterday's long run I was really looking forward to not having to lace up my trainers today! I felt completely spent last night and I still felt exhausted when I woke up this morning! When you have a rest day you realise how much time you spend running! 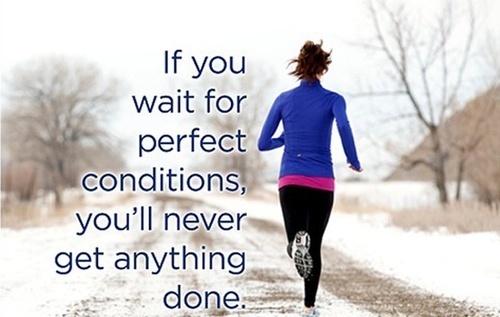 Usually I am rushing from one thing to another just so I can fit a run in! Today I have had a lovely leisurely day! No work, no running, no kids, no husband ... just me and the dog! I have just realised that I missed part of last week out in my excitement about going to Barcelona and being extremely busy at work then having to pack etc etc etc. On Thursday I didn't finish work until late so it was after 6.30pm before I got my run in. 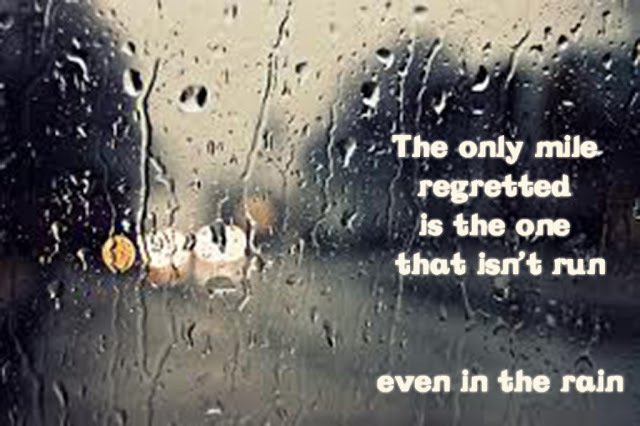 It was another wet and miserable night but I wasn't going to give in to the treadmill again. Despite the wind and the rain I hit the streets and I tried to maintain under 9 minute miles. I only managed for the first 2 miles when I ran at 8:41 and 8:56 minute miles and then it slipped to 9:10 and 9:46. However I was fairly relaxed about this as I really didn't want to push too hard as I wanted my legs to be fairly fresh for the Half Marathon on Sunday! I ended up doing 4.43 miles at an average 9:07 minute mile pace so not too disgraceful! Friday was my last day at school before the holidays and it was also the day my daughter left on her skiing trip! After our farewells and I had survived the last day chaos I rushed home to set off on my holidays! We were staying in Liverpool on Friday night and wanted to get there in plenty of time to enjoy a meal and a few drinks! A great way to start the holiday! You can read about the rest of my weekend here! After having a fantastic weekend we arrived back home on Monday evening at around 5.30pm. There was no way I was going go to Tri Club swimming or running as I thought my body deserved a rest! Yesterday I had to go to the dentist and then I decided that since I had missed the swimming session on Monday I would go and do some lengths on my own. I wasn't really looking forward to it as I thought with it being Half Term it would be heaving full of screaming kids kicking and splashing! However, I was pleasantly surprised. The main part of the pool was busy but the "lanes" were quiet and there was only one other person sharing my lane with me so I could get a good swim in. I initially did 4 lengths as a warm up before embarking on sets of 20 lengths with 30 seconds recovery between each set then I did 6 lengths to cool down! In total I did 90 lengths which is 1.4 miles or 2250 metres. I even managed to maintain a fairly consistent pace and did set 1 in 11.31, set 2 in 11.33, set 3 in 11:53 and set 4 in 12.02. I am really pleased with that as my initial target time (before the April Tri) to do 20 lengths was 12 minutes. 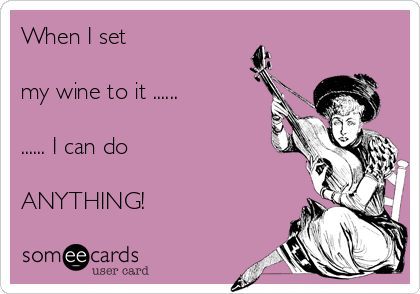 I can consistently do that so maybe I need to up the ante! Today was the day I had earmarked for my LSR for the week! I wanted to get it over with before the weekend as my daughter will be back from skiing with loads of washing and ironing and generally being demanding of my time! So first thing this morning I had a bowl of porridge and a coffee before getting changed and heading out the door for 8.45am! Totally unheard of for me to be up in the holidays so bright and early! It was amazingly mild compared with recent weeks and although it was drizzling lightly it was better than the torrential stuff I have become accustomed to! The plan was to do 20 miles! The first 10 miles went by fairly painlessly and I took an energy gel at 5 miles and 10 miles. By now the drizzle had stopped and the sun was trying to peak out from behind the clouds and my legs started to object! We live in a fairly hilly area so it is difficult to do a long run without encountering hills and the hills seemed like Everest today! By mile 14 I was digging deep and at mile 15 I had another gel in the hope that it would inject some energy into my unwilling legs! At mile 18 I had the choice of two routes, one that would fulfil my 20 miles and one that would get me home imminently! I really couldn't see me surviving another 2 miles as I was starting to feel woozy and I really didn't want to embarrass myself by passing out in the street! I have never been so relieved to put my key in the door and step over the threshold! I had managed 18.78 miles at an average 10 minute mile pace. Not bad considering I was running on tired legs from Sunday and a tired body from swimming yesterday! Luckily I had all afternoon to recover and even managed to fit in a Nana nap before heading off to Yoga at 6pm. I was very conscious about not falling asleep at Yoga like I did last week and the way my body felt I thought this was going to be the probable outcome! My body was well and truly ready for a stretch, and boy did it feel good after the initial ouchyness wore off! I think I was too self-conscious to totally relax this week so thankfully I didn't fall asleep! 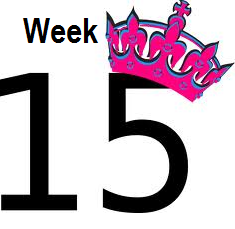 Week 14 and a PB! Week 14 starts with me feeling very positive as I got a PB at Barcelona Half Marathon yesterday! You can read about my fantastic experience here! We have had a very busy day at school today as Head Teacher interviews are in progress. We had to endure not one but four Assemblies so each of the candidates could show us what they were made of! We also had a "Meet the candidates" after school so it was 4.30pm by the time I got home. I was aware that my training plan requested I did a speed session but the weather was horrendous with heavy rain and severe gales! I took the executive decision that with the high winds it really wasn't safe to run outside so I wussed out and went on the treadmill instead. I set it for "Pyramid Training" where I ran 30 seconds fast then a slow run recovery, 45 seconds fast then a slow run recovery, 1 minute fast then a slow run recovery, 1 minute 30 seconds fast then a slow run recovery before coming back down the other side of the pyramid with 1 minute fast, then 45 seconds, then 30 seconds! The first session was 18 minutes long and I ran 1.75 miles. After a 5 minute break I repeated the session and the second session was 18 minutes long and I ran 1.78 miles. In total I ran 3.53 miles and was fairly pleased with the "speedy" part of the intervals! A had a very quick shower before heading out into the wild world to go to Yoga. 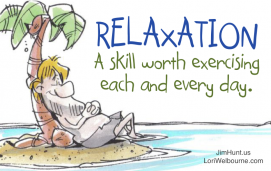 I really enjoyed the stretch session and actually fell asleep in the relaxation! My teacher had to come and wake me up! 2 more sleeps until Barcelona!!! Then there was sleet and snow! Tonight I had a school parents evening for my daughter, so I had to wait until after that before I could run! Unfortunately for me, what had been a dry and crisp day deteriated into an extremely cold sleety day by the time I could run. Not to be deterred I set off slightly anxious about slipping and hurting myself. Running in the dark on potentially slippy paths is not my ideal basis for a run but I tried not to think too much about it and managed 6.50 miles at an average 9:08 minute mile pace. I am pleased with that under the circumstances! I somehow managed to get a PB at The Mad Dog 4 10K yesterday - it was only by 2 seconds but a PB's a PB. The weather wasn't as bad as expected although it was still not ideal "PB" running conditions! The rain managed to stay away but it was bitterly cold with extremely high winds! Only mad dogs and Englishmen go out in gales and run!! You can read about my day here! 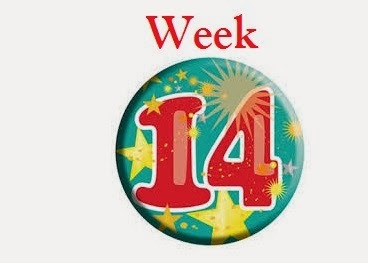 Week 13 - it's getting closer! 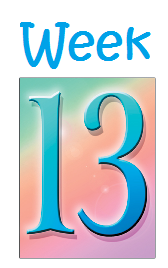 Week 13 of Marathon Training starts today! Yikes only 53 days to go! This evening I went to the Tri Club swimming training session and the focus was on endurance! For some strange reason I much prefer the endurance sessions than the speed sessions, open water swim sessions or drills! I am determined that I am going to keep going no matter what! then we were supposed to finish on 200 metres but unfortunately the whistle went and I had just done 100 metres in the final set! 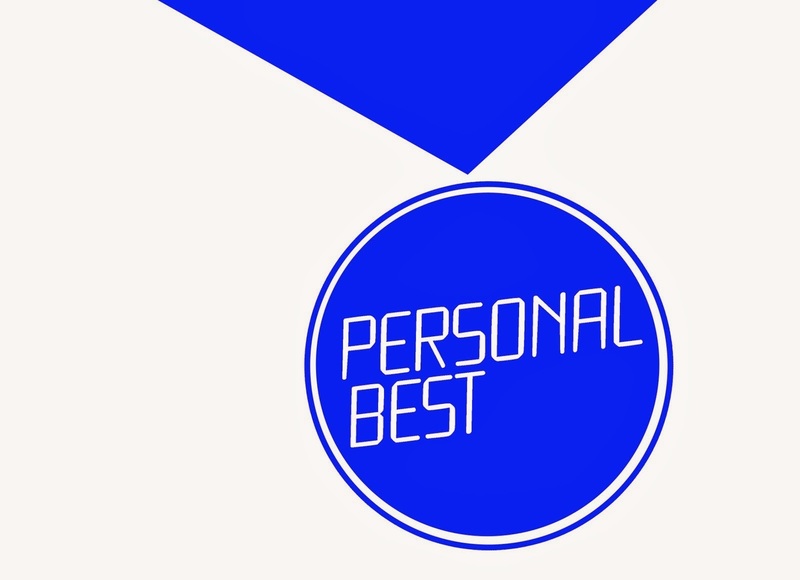 However, I am still pleased with how I managed to swim 2200 metres or 1.37 miles or 88 lengths in 53 minutes 58 seconds at an average pace of 2:29 minutes per 100 metres! This is my fastest pace ever over that sort of distance! Maybe I am getting better after all! Watching Davina swimming Lake Windermere and being dragged out at the end nearly unconscious has somewhat put me off Open water swimming!! I am feeling confident in my training and determined to run my best for Haddie! Tomorrow I am running The Mad Dog 10K in Southport! Despite having a cold and even though the weather looks like it's going to be horrendous I still believe I can do this PB lark tomorrow! Today I found out that one of my friends who I was running the Barcelona Half Marathon with has dropped out. Luckily there was three of us going so I am not on my lonesome! Getting excited about it now, only 8 days to go! Another "sickie" day off work with this awful cold/flu bug! It doesn't seem to be shifting - does it not know I have a 10k race on Sunday! Today one of the Tri Suits I ordered came and it fits! It needed to come with instructions as I struggled to work out how on earth to get it on! I couldn't get the internal bra in the right place, and at one point it was on my back! After numerous attempts I succeeded! I am not sure how I will cope with it on the morning of the Tri when I am feeling stressed but hey ho! Since I can't run I decided to catch up with my Scrapbook which I have neglected! I do enjoy doing it once I get going! Here are the finished pages! 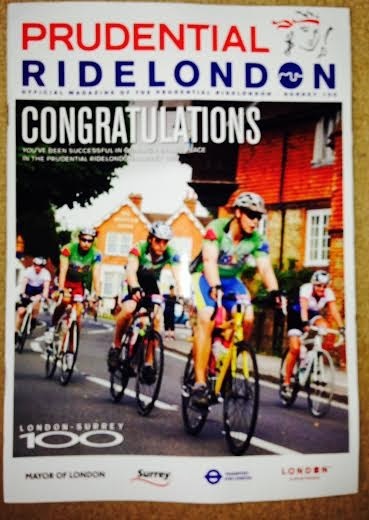 I had forgotten I had entered the ballot for the Ride London 100 event until a magazine plopped through my letterbox this morning with "Congratulations" sprawled across it! Now I am in a quandary! It is the weekend after I return from a 2 week all-inclusive holiday to the Dominican Republic! Even if I get cycle fit before I go will I still be fit enough to cycle 100 miles after 2 weeks of over-indulgence? I am wondering whether it is possible to defer the place until 2015 or should I just go for it! I have a third option - if I don't pay by 28th February I lose the place! Sometimes things don't go according to plan! Unfortunately I have woken up this morning feeling even worse then yesterday! 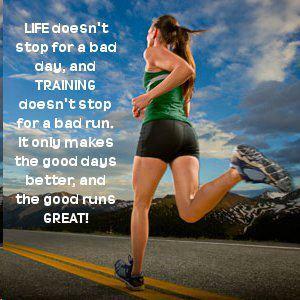 I have taken the day off work in the hope that I make a speedy recovery and I am fit to run on Sunday! and I have a PB race on Sunday! I have woken up today with a awful cold (if my husband had it, it would be man flu!) and I have slowly gone down hill throughout the day. I didn't finish work until 5:45 and went straight to yoga at 6pm thinking if might help me to relax and make me feel slightly better! I did relax but so did my nasal passages and throat! I had a constant nose stream and tickly cough all the way through! I don't suppose the others were very impressed with me sharing my germs! I am now shivering in front of the fire feeling very sorry for myself! Here's hoping the nasty bugs leave my body and I am fit and well for Sunday! !